More than 300 customers and agents gathered for the grand opening of Crane Link Zoomlion Pty Ltd’s new Zoomlion warehouse in Johannesburg. The 5,000 sq m warehouse includes offices, maintenance facilities, spare parts, product demonstration spaces and machine operator training areas. 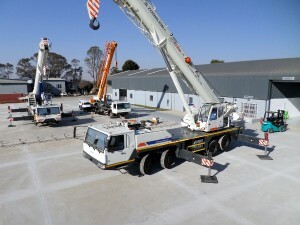 Crane Link, South African agent for the Chinese crane manufacturer Zoomlion, claims the training simulator (for the QY110V mobile crane) at the facility is the first of its kind in South Africa. The Chinese-themed opening ceremony saw Zoomlion QY25V, QY50V, QY110V and RT55 cranes displayed. I simply want to tell you that I am just beginner to weblog and honestly loved you’re page. Very likely I’m planning to bookmark your blog . You certainly come with good well written articles. Bless you for revealing your webpage.